Jolimeau grew up in Croix-des-Bouquets, the epicenter of Haitian metal art which was started there in the 1950s by Georges Liataud. He was a student of the early Haitian metal-cut artists Seresier Louis-Juste and Murat Brierre, and himself taught some of the currently working metal-cutters. 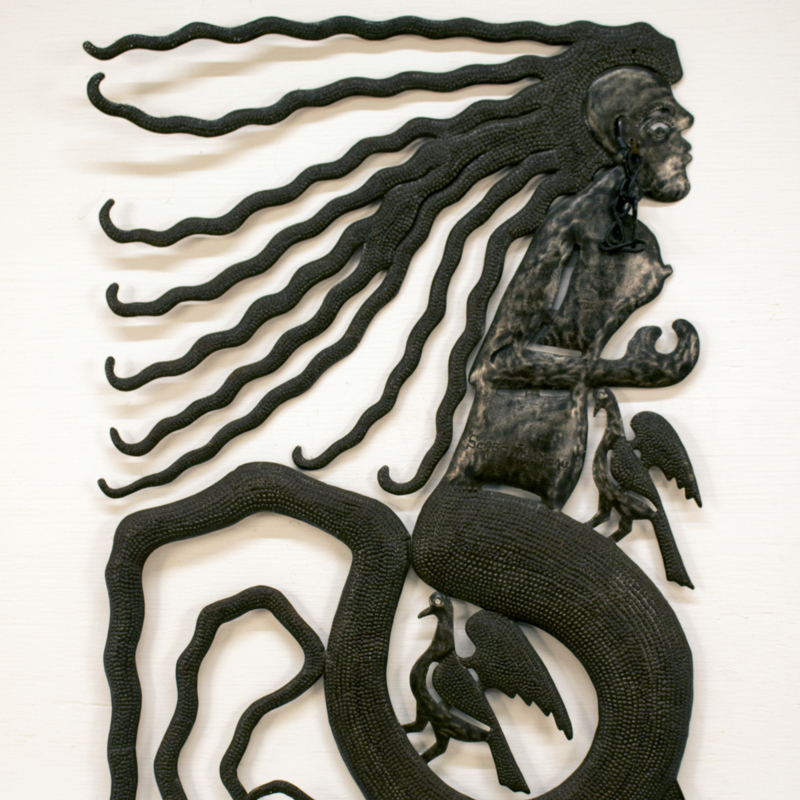 This Sirene (mermaid) form combines a couple of common themes in Haitian oil drum artworks, the ocean and the mythical. 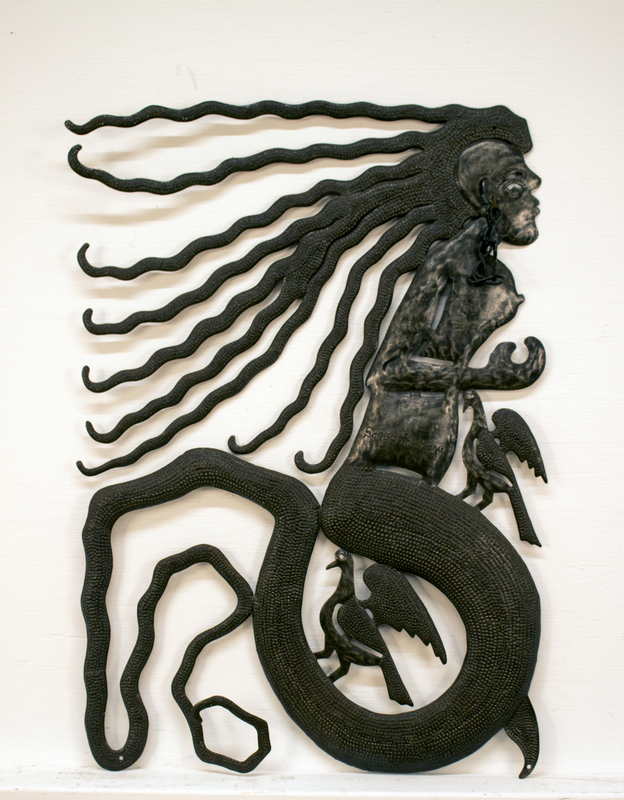 Serge Jolimeau (Croix-des-Bouquets, Haiti, 1952- ), “Unknown (Sirène),” Cunningham Memorial Library Digital Exhibits, accessed April 25, 2019, http://omeka.indstate.edu/document/3033.